An ATM (Automated Teller Machine) is an electronic device that allows bank customers to perform financial transactions. The transactions can take place at any time at millions of locations around the world. Customers can check account balance, withdraw cash, transfer funds and perform several other banking functions. The development of the ATM began in the early 1960’s. Luther Simjian, an Armenian inventor who was living in the USA was granted a patent for what he called a Bankograph in 1960. The Bankograph was given a 6 month trial by Citibank but was discontinued due to lack of demand. In 1967 Barclays bank installed the first successful ATM at its branch in Enfield, London. 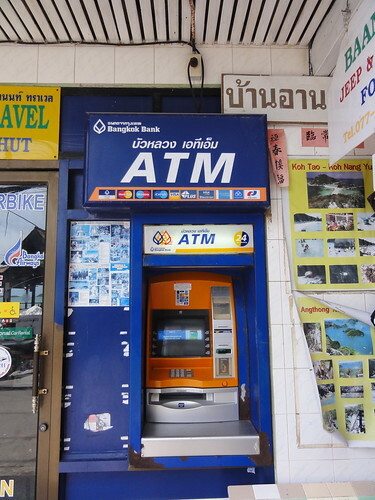 Today there are almost 3.5 million ATM’s worldwide. The first successful ATM (Automated Teller Machine) began operating at Barclays Bank, Enfield, London in the year 1967 On This Day.